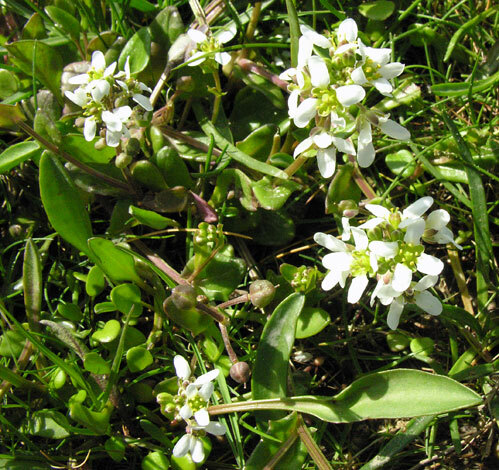 C. anglica (English Scurvygrass) is not easy to separate from C. officinalis (Common Scurvygrass) so it is best to take a reference book with you to be sure of the basal leaf and fruit shapes. The flowers look very similar in both species. C. anglica is found mostly at the seaside and found in England, Wales and Ireland but there is little on the mid and northern Scottish coasts where C. officinalis tends to be the common Scurveygrass.